Dr. Ahmed’s interests broadly encompass nanotechnology and its key applications. On the research side, this includes photovoltaics, semiconductors, LEDs, piezoelectric devices, and applications in nano-scale water purification. He is currently interested in expanding his research scope to include other critical areas, especially through nanomedicine, looking at sensors for early detection of AIDS and cancer markers. 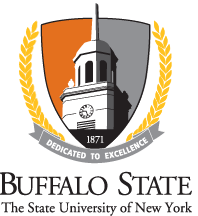 Prior to joining SUNY Buffalo State, Dr. Ahmed was an R&D Engineer in the High-Tech Industry, working at Intel Corporation for 7 years. He hopes to bring his versatile background back to academia, working with students and faculty in developing course content and in probing technologies that are not only academically appealing but have scope in real-life impact through commercial viability.